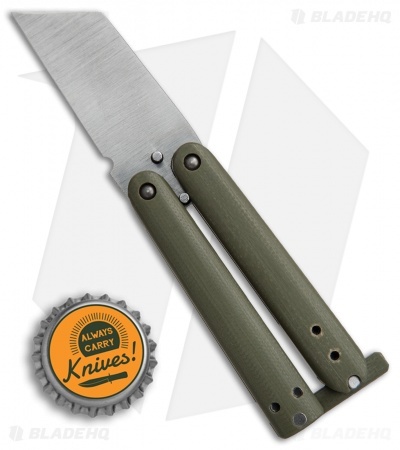 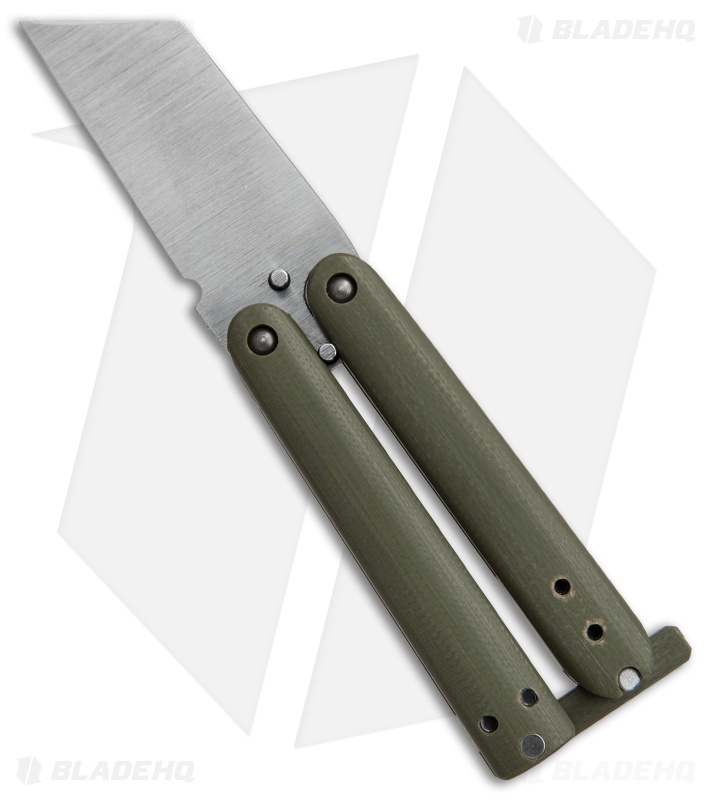 This Gremlin balisong was made for Blade HQ by Nathan Dewey with an OD green G-10 handle and a wharncliffe style blade with a sharpened swedge. 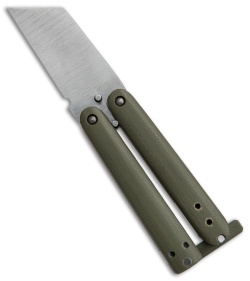 The blade has a chisel ground edge and a satin finish. 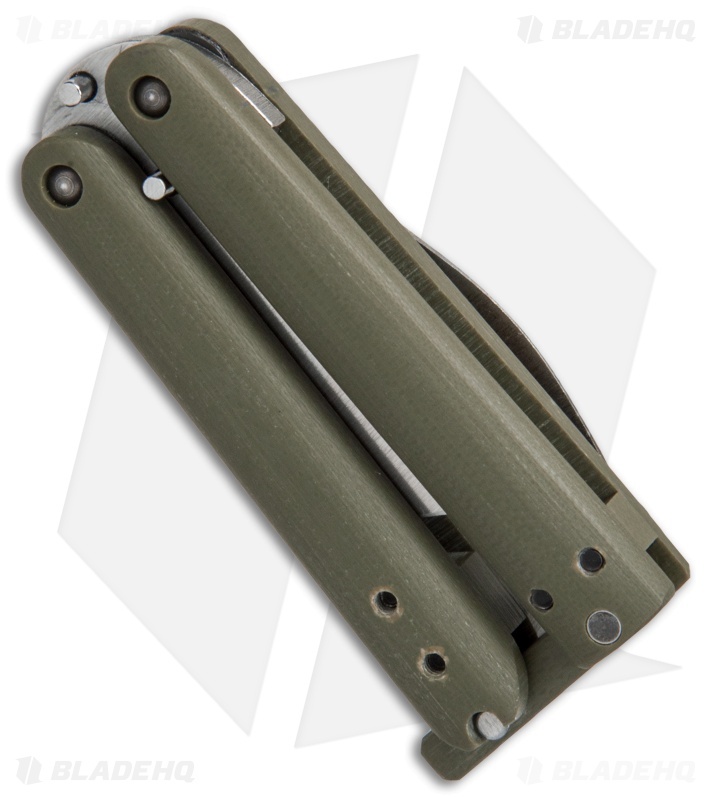 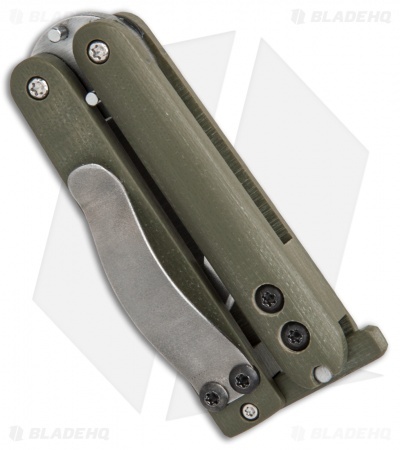 This compact butterfly knife is outfitted with G-10 handles and a G-10 latch for securing in the open or closed position. 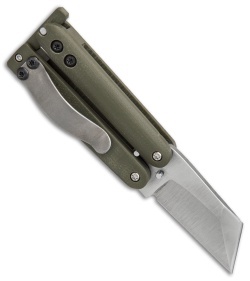 Item includes a stainless steel pocket clip and spare hardware.